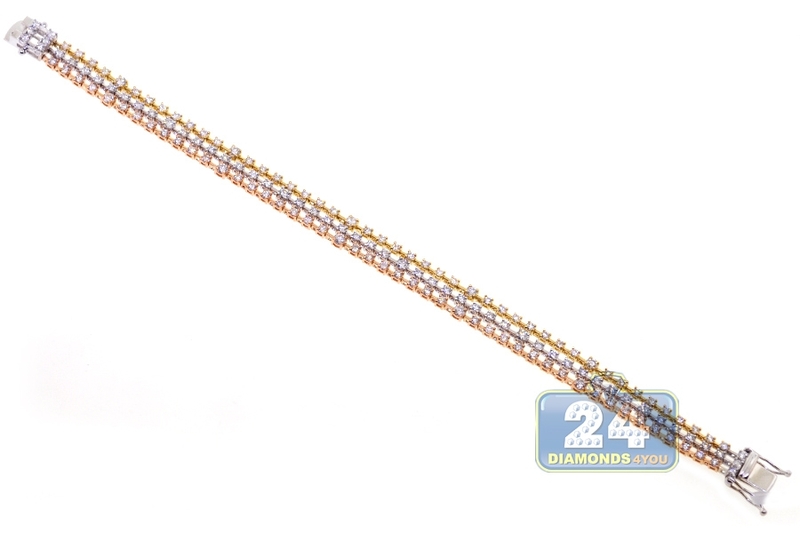 We are proud to present this diamond tennis bracelet from our rich collection! 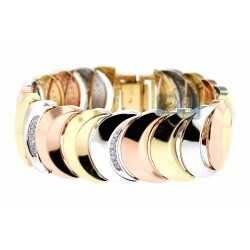 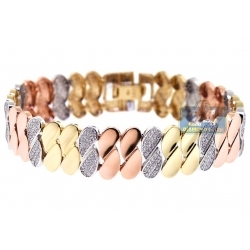 It is handmade of unique 18k gold of white, yellow and rose colors. 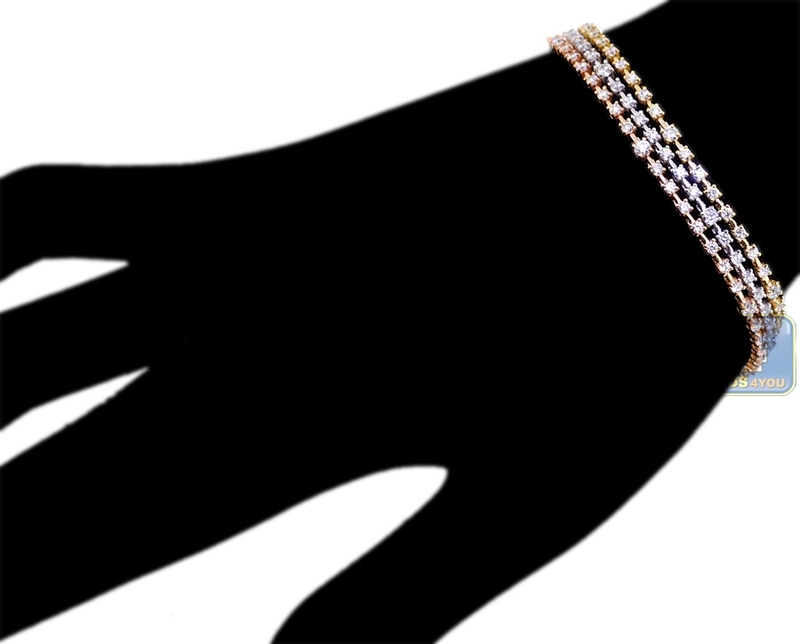 The jewelry piece shimmers with incredible illumination and brilliance of natural icy white round-cut diamonds totaling 4.32 carats. 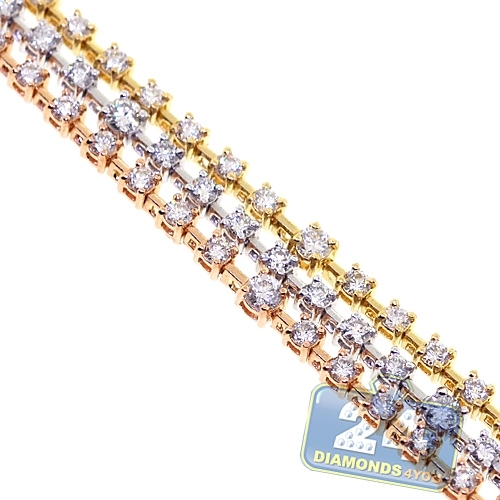 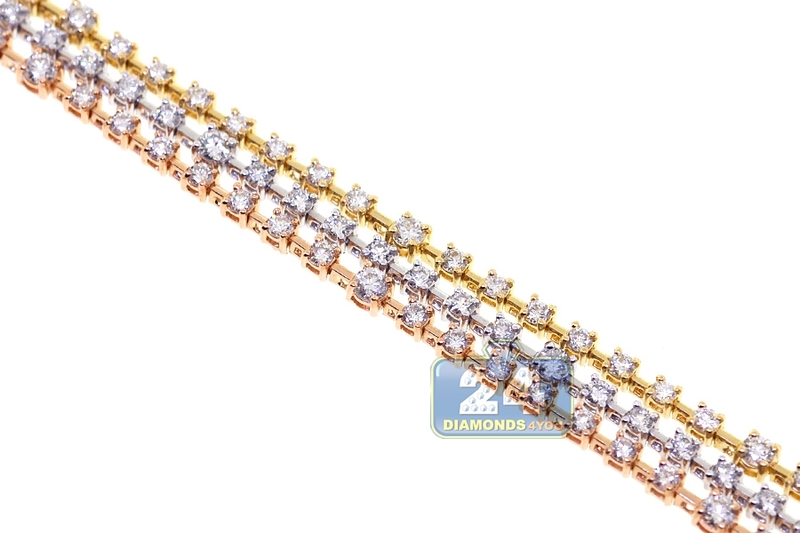 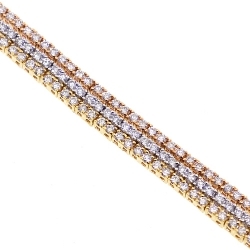 Our women's diamond bracelet features 7.25 inches in length and 7.5 mm in width. 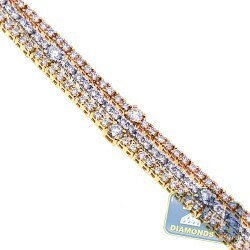 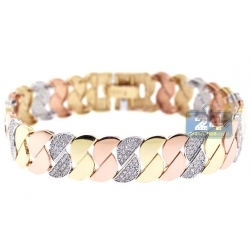 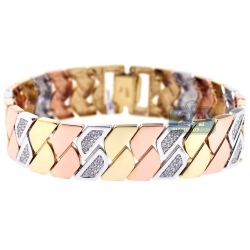 Show your appreciation for the finest luxuries when you wear this gorgeous diamond tennis wrist bracelet!